If you're coming up short on Hanukkah gift ideas and are tired of racking your brain for inspiration, www.TraditionsJewishGifts.com is the perfect place to take care of all your holiday shopping. With more than 6,000 Jewish gifts online, there are plenty of other Chanukah gift ideas you probably haven't even explored for family and friends. 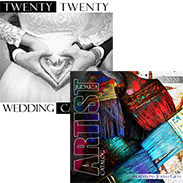 It doesn't matter whether you're looking for an inexpensive gift for an acquaintance or a meaningful religious present for a close family member, www.TraditionsJewishGifts.com has the ultimate offering for everybody in your life—from memo cubes to keepsake boxes. These items are not just inspirational to people of the Jewish faith, they're also functional and will certainly be put to good use. For the shopper who is looking for presents beyond dreidels, menorahs and mezuzahs, there are plenty of other Chanukah gift ideas that are every bit as rewarding and affordable. We're talking about the odds and ends that won't blow your shopping budget. 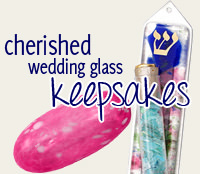 These are little knick-knacks that your loved ones will be able to use every Hanukkah for years to come. You'll also want to keep some of these items on hand for those last-minute gifts you often don't foresee. Some great Hanukkah gift ideas include Hanukkah candles, Hanukkah candle holders, Hanukkah ornaments, Hanukkah gift sets, Hanukkah gift sets for children, Jewish aprons, Jewish Zodiac placemats and Jewish scrapbooking. You'll find all of these items at www.TraditionsJewishGifts.com. When you browse through www.TraditionsJewishGifts.com, you're sure to come up with enough solid Hanukkah gift ideas to get you through the holiday season. To get other Chanukah gift ideas from www.TraditionsJewishGifts.com, visit our online store today.